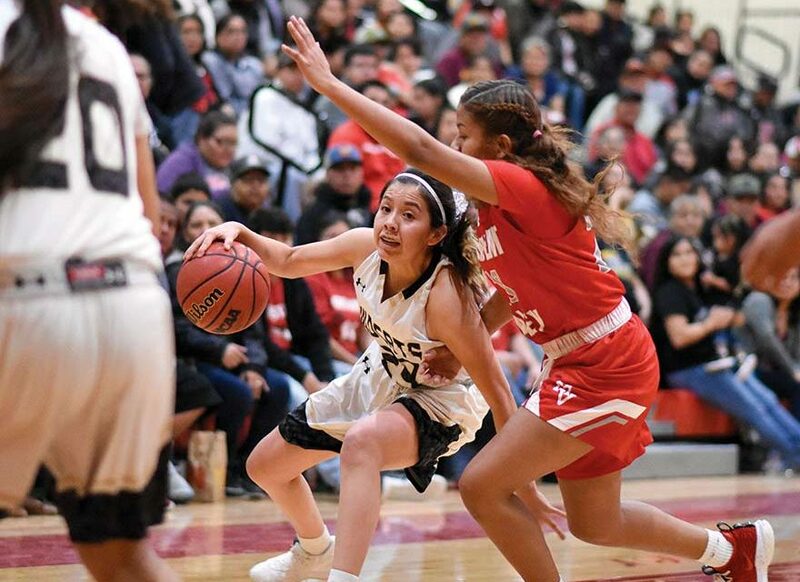 The Chinle Lady Wildcats needed an overtime session to secure a 61-58 win over the Monument Valley Lady Mustangs during the first round of the 3A North Regionals Basktball tournament. The Chinle girls’ basketball team needed a little more time to finally put away the Monument Valley Lady Mustangs on Thursday night in the opening round of the 3A North tournament. As the tournament’s No. 3 seed, the Lady Wildcats outlasted No. 6 Monument Valley in a 61-58 overtime thriller with senior Stacey Begay delivering an all-star performance in the overtime session. The Wildcats will take on No. 2 seed Tuba City in today’s semifinals at 3 p.m. at the Hornet Pavilion in Burnside, Arizona. In the other opening round game, the Ganado Lady Hornets staved off a couple of rallies from Window Rock to post a 63-47 win. Ganado plays top-seeded Page at 6 p.m. tonight in Burnside with the winners advancing into Saturday’s championship game at the Bee Holdzil Fighting Scouts Events Center in Fort Defiance. The losers in Friday’s game will play for third place at 10 a.m. on Saturday while the championship game is scheduled for 5:30 p.m. Daily admission for the tournament is $8 with children 3-and-under free. Begay, who finished with a game-high 25 points, scored all nine points for Chinle in the overtime session. Her biggest shot came at the 13-second mark when she hit a baseline trey that gave the Wildcats a 59-58 advantage. It certainly wasn’t as MV tried to push the ball up the floor but Begay helped force a turnover at midcourt. In their ensuing possession, she hit two free throws for the three-point win. “This feels good and this is definitely a confidence booster,” she said. 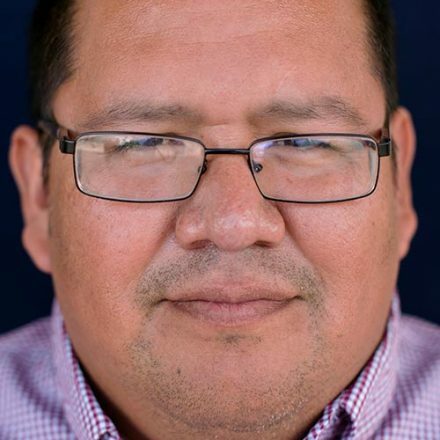 Chinle coach Francine McCurtain said Begay’s three-point shot served as a dagger as her team had to overcome MV’s 1-3-1 defense for much of the night. In this seesaw affair it looked like Chinle would end it in regulation as they took a 49-45 lead with 1:06 remaining on two free throws by Grayce Claw. But MV staged a marvelous comeback by going on a 7-3 run with Mustang senior Tayla Nez igniting the run with a trey as they trailed 49-48 with just under a minute. With the lead, Chinle tried to milk the clock as MV was forced to foul. That scheme nearly worked as the Wildcats went 3-of-6 at the foul line, opening the door for MV. The Mustangs hit a pair of buckets, including the game-tying layup by sophomore Adriana Sheppard with two seconds left in regulation. Claw, who scored 15 points, said her team stayed composed, especially in the OT session to pull it out. Nez led MV with 19 points while senior guard Jazlyn Lane added 12. 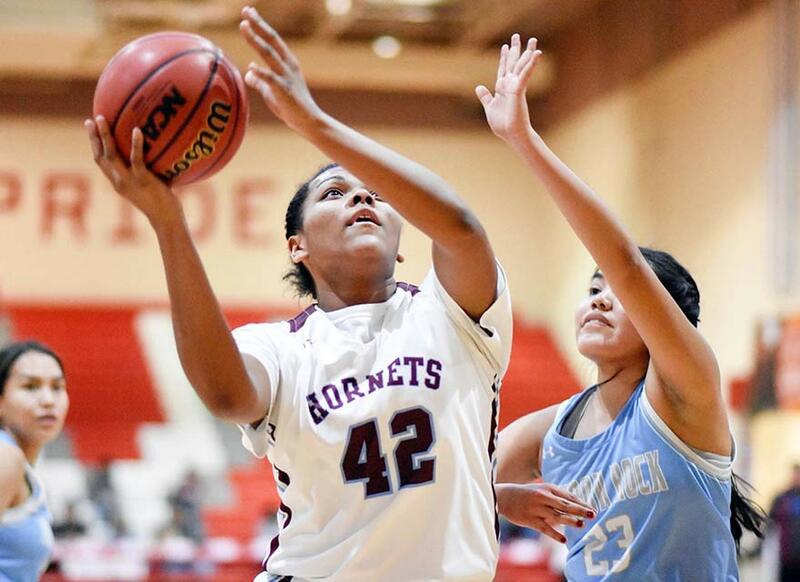 The Ganado Lady Hornets defeated the WIndow Rock Lady Scouts during the first round of the 3A North Regionals Basketball tournament at Monument Valley HIgh School on Feb. 7. The Lady Hornets relied on their go-to players to get by Window Rock with junior post Michelene Coleman leading the way with 23 points. Senior Jayla McIntosh added 17 while sophomore guard Abigail Benally chipped in eight. After leading by as much as 11 points at the start of the second half, the Hornets had to fend off a couple of runs from Window Rock to stay ahead. The Scouts hit some key buckets to cut that 11-point deficit down to 39-33 with a 7-2 run. Bailey Talkalai started the run with a putback and junior Jana Solee capped the rally by going on a personal 5-0 run. Midway through the fourth, the Hornets did go up 51-40 on a trey by Deana Curley but the Scouts made another run, getting as close as 46-40 on a bucket by Solee. Solee led Window Rock with 19 while Talkalai finished with 15 and Asia James added 13.